Not only is a home one of the biggest investments an individual will make in their entire life, it can also prove extremely expensive to maintain. Repair work, breakages and damage will all cost money, money that could be spent on other, even more important things. Homeowner's insurance, a policy that is taken out to support home owners financially if their home was to become damaged in an unfortunate event, is a great way to ensure that homes are covered. Gathering home insurance quotes and deciding on which policy is right for the home can be a tedious and time consuming process. Although it's necessary, contacting company after company can get tiring, however it is vital to be done to ensure that you get a good deal. Price comparison sites are extremely popular amongst consumers because you're able to check and compare a variety of companies quickly and easily. Although they are a great place to start, relying on them alone is un-advisable as they do not always include every aspect of your coverage and the policy conditions may vary from company to company. It is important to be aware of what your requirements are for coverage and what you'll need to be included in the policy before approaching providers. 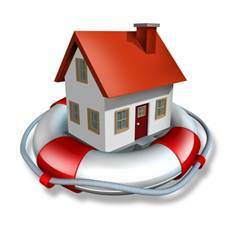 Some companies will inquire as to which, if any, risks you and the home are exposed to and what type of protection you would like to take out to cover these (floods, earthquakes, etc). Others, however, will simply include things like hurricane, flood and earthquake coverage automatically. Of course, if a home is situated in an area of high risk then it should, almost certainly be covered by insurance but for those who live in an area of little or no risk, paying for that coverage may seriously increase monthly payments. Be clear about what is needed and what is not when applying for homeowner's insurance. Any expensive or sentimental items that are kept in the home should be included in the policy. Jewelry, big ticket electronics and other appliances can all be added. As people change and move on, however, so do their belongings. Keeping up to date with coverage on your home's contents is essential to avoid paying unnecessary charges. Once you are insured, check with the provider regularly to make sure that the coverage you are paying for is both correct and relevant. Combining two or more types of insurance policies with the same provider may see you rewarded for your loyalty. The majority of companies will offer up to a 15% discount to existing companies and should always be the first port of call for home insurance. Have your own tips for things to look for when searching for homeowner's insurance? Leave us a comment! Previous Post: Could An Annuity Be The Ticket To Reliable Retirement Income?